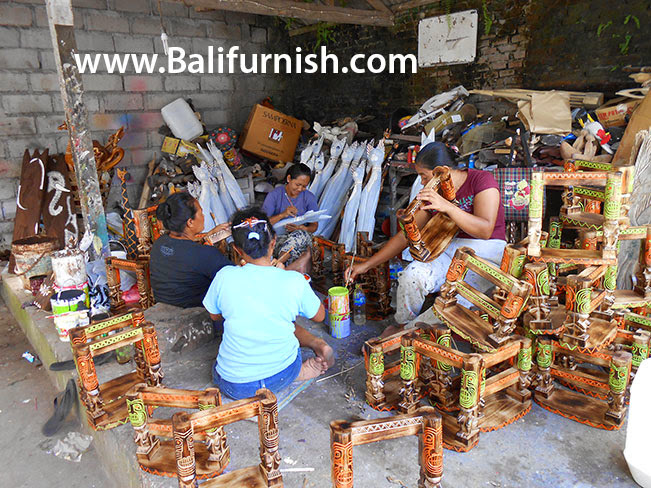 Wood crafts wholesale from Bali by Balinese craftsmen and producer. Supplier and exporter company. Bali crafts factory and manufacturer with wide range of wooden crafts, carvings and ornaments. All made by Bali crafts producer. Bali crafts wholesale online catalog. Our handicrafts and souvenirs made of wood and other natural materials. All handmade in Bali by Balinese crafts maker and producer. Supplier of handicrafts made in Bali Indonesia. We have wide range of products for you to import to your country. Browse our main catalog located on other web site http://www.balifurnish.com/ and compose your order in a microsoft excel file and email to us using our inquiry form. Please remember that we have a minimum order for each of our crafts products. This vary between each crafts products but in general the minimum is 10 to 100 pieces of crafts, depends on the size and price of the Bali wood crafts. We're able to supply you with almost any kind of Bali arts and crafts, if you looking for some specific Balinese crafts and you can't find it on our web site, please let us know. Email us photos of what you need, we will make it available for you. Wood Crafts Bali from Bali Handicrafts Factory. Simple theme. Powered by Blogger.